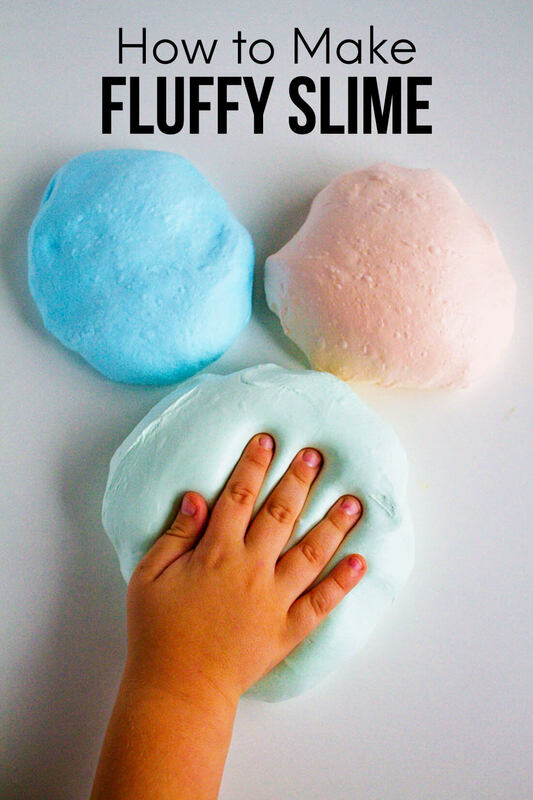 Over the holidays I shared a simple gift idea – printable bread wrappers. They were ridiculously easy to make so I decided to make a Valentine’s Day version too. Like the last ones these would be fun for teachers, friends, neighbors or anyone you want to make feel warm and fuzzy for the holiday. I baked several small loaves of banana bread and let them cool, wrapped them up in cellophane (not pictured) then attached the printable with tape on the back. Because I made banana bread one of the wrappers has a banana reference on it. 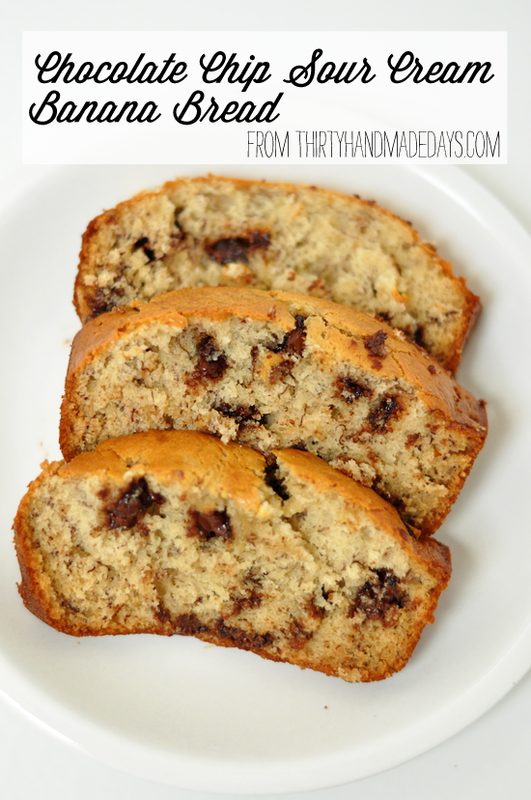 You don’t have to make banana bread, but I have a couple recipes below to try out if you want to. They are my go-to’s. I don’t know about you, but a good homemade treat is my love language. Give me that any day over roses or chocolate! 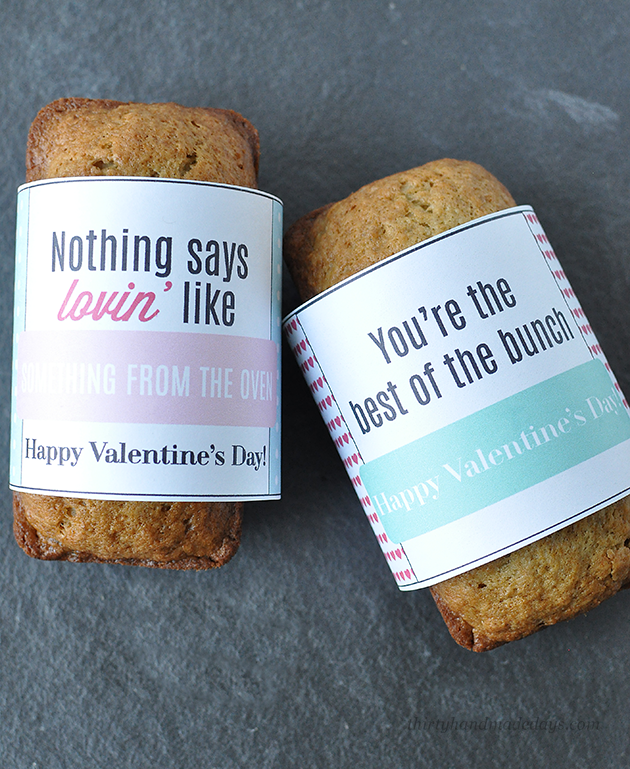 Download these Printable Valentine’s Day Bread Wrappers. Love these! Using them, thank you! Supe cute! Thanks for sharing! I just made strawberry bread for my co worker. Tnanks. My kitchen smells yummy! These are just adorable! I love them! 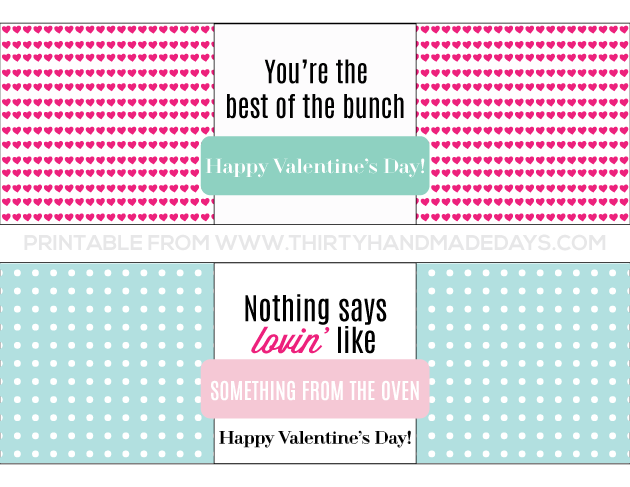 Especially the “Nothing says lovin’ like something from the oven”. So clever! 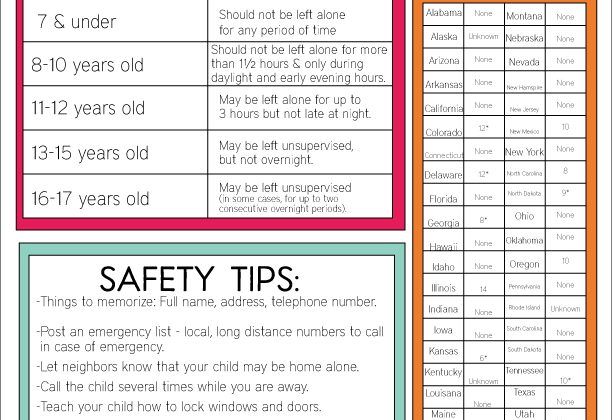 Such a cute idea… Love this! 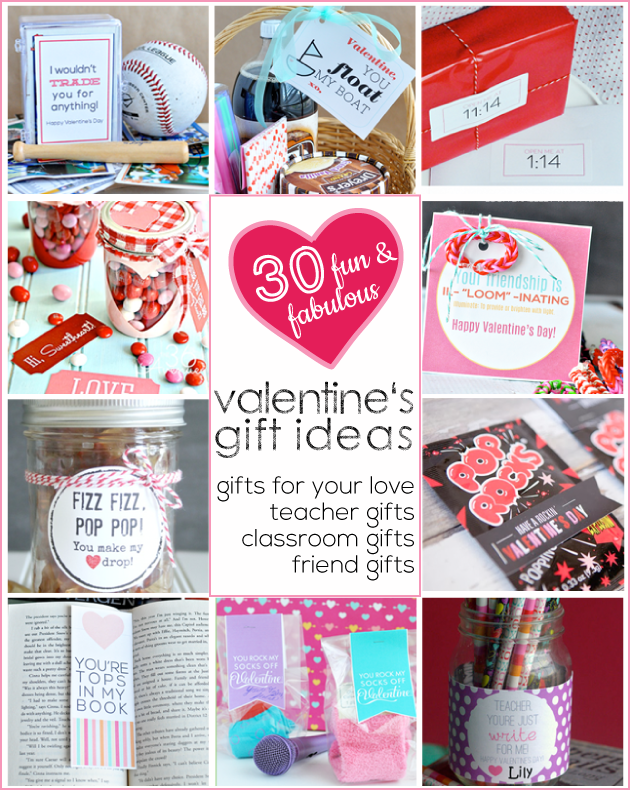 What a fun gift idea!! 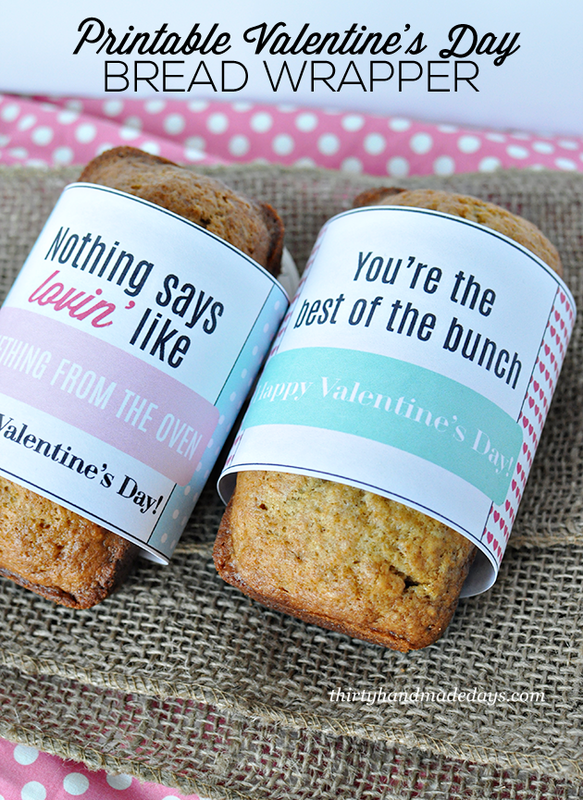 Love the printable’s and the bread looks delicious! 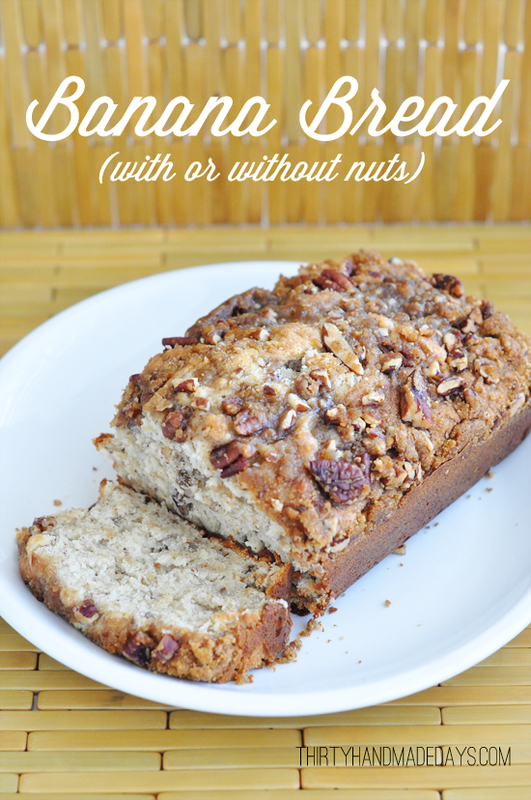 So cute – need to make some banana bread!